Here we are, improving my technique in this important abroad experience. 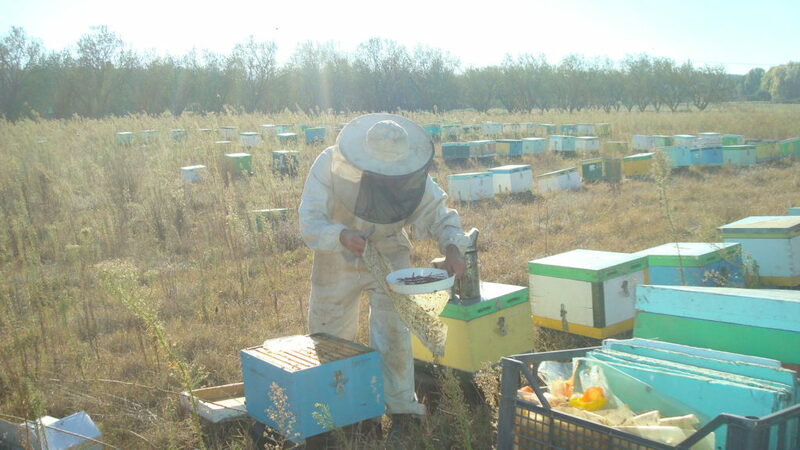 The last weeks the apiaries where close to Polygyros in fields of Erica Verticilata and we didn`t get good results cause the weather; in fact it didn`t rain at all and the wind blown from north-west that means the pollen was very dry and so difficult to be picked up by bees. 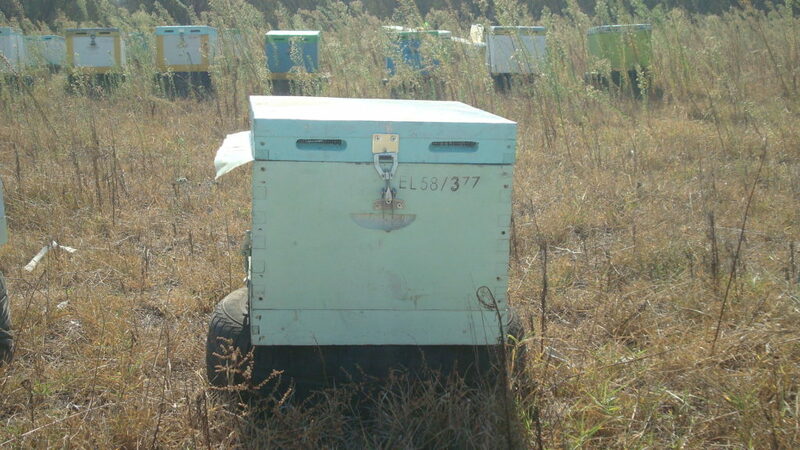 That’s why we transferred the apiaries to Epanomi, again close to the cost, where in this period the fields have lots of Polygonum aviculare flowers`. Here, cause the winter coming, we arranged the apiaries up to tyres in order to protect from the humidity that grow weak them. Furthermore we collected some honeycombs in order to get honey and also to make more compact the apiary; we did this step paying attention to don`t extract honeycombs with the queen bee neither with the clutch. Before to close each apiary we positioned a piece of polystyrene that will keep a bit the temperature during the winter. The basic component for the bee’s reproduction are pollen, nectar and warm temperature and for the reason that now will not be possible for the bees to find nectar we located again half kilogram of sugar paste in each apiary as substitute of the nectar. 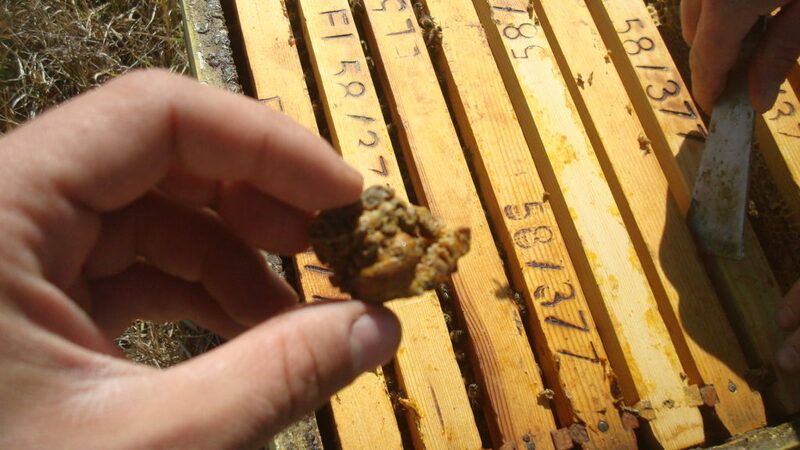 Furthermore we collected the propolis that was in the upper part of the honeycombs( photography 2) . 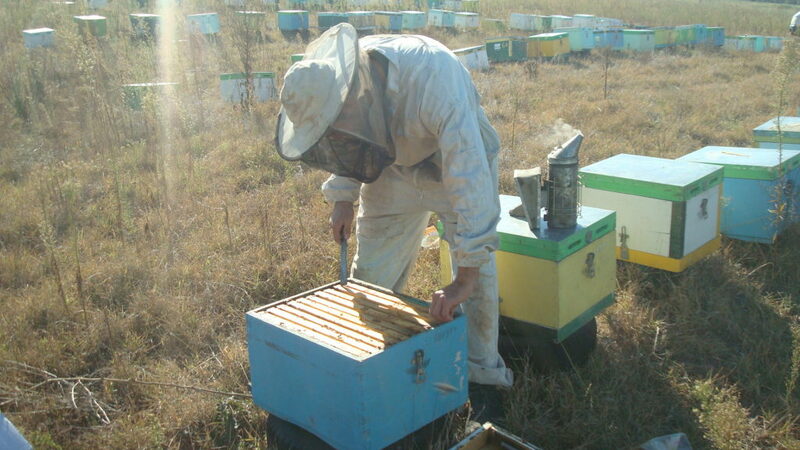 About the beehives inspection we recognized lots of Acaro Barroa; we saw same attached to the bees and we noticed same bees with cut wings, that is a disease caused by Acaro Barroa. 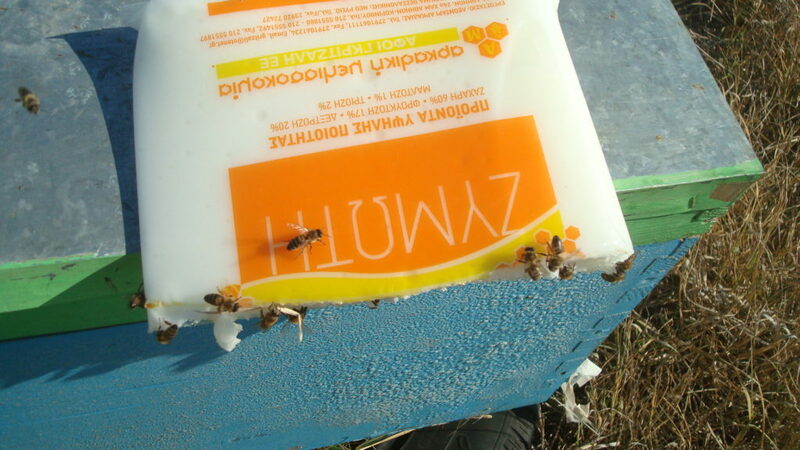 This Acaro is very dangerous for the apiculture because make weaker the bees and is very important to start the therapy in time; so we positioned in the apiary a small cardboard plunge in a mix of olive oil and Amitras,an acaricide and insecticide, that will kill the Acaro Barroa. Appointment to the next report!